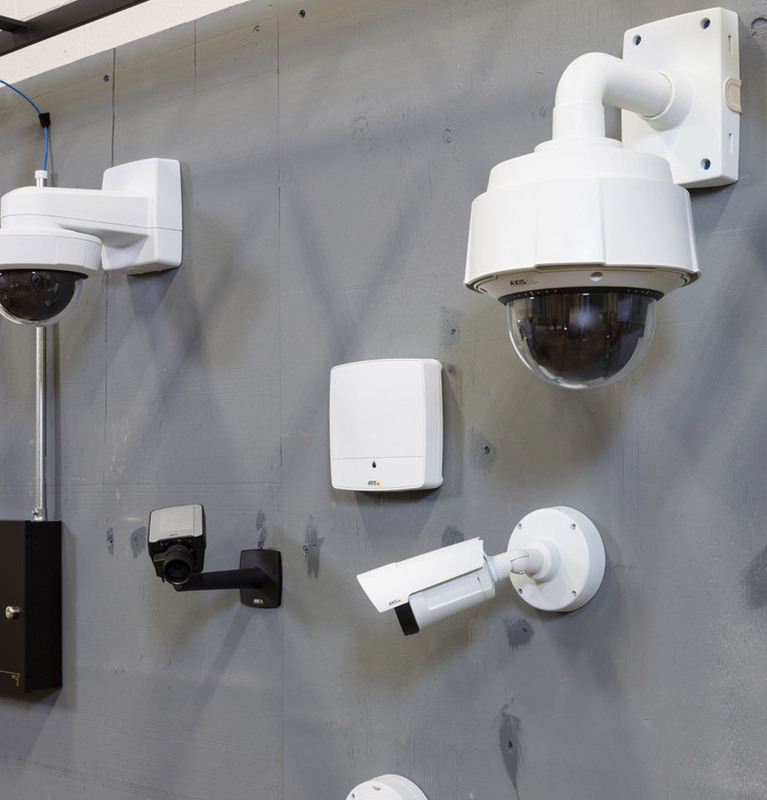 Closed circuit television (CCTV) and IP camera solutions can be a powerful tool in ensuring the safety of your employees, customers, building(s) and grounds. In addition to providing 24-hour internal and external monitoring, closed circuit TV security systems and IP camera solutions help promote a safer work environment and can serve as a powerful deterrent to stop potential security risks before they arise. Whether you need one camera or a multi-site surveillance system, Gettle offers turnkey solutions – from on-site assessment and system design to installation and monitoring. Gettle’s experienced team of industry-certified (ESA and NICET) security experts use the latest technology to customize solutions to best-fit the security needs of each client. We maintain relationships with top industry suppliers and place a priority on ongoing education and training to ensure our team is at the forefront of industry technology. Featuring the latest technology in night-vision, digital pan, tilt and zoom, motion detection and auto-record capabilities. Gettle’s full-service fire and security capabilities ensure your CCTV and IP security camera systems are integrated with your core systems. Our turnkey electrical and datacom services provide a single source of project responsibility capable of delivering end-to-end support for all of your video surveillance needs. We take our role as a security partner seriously and deliver reliable, effective solutions our customers can count on for their company’s security needs. Connect with the team to learn more about how Gettle can support your IP camera and CCTV security system needs.